The Slope on Thursday – rain today! Did you know that there is a patron saint of gardeners? Of course there is! There’s a patron saint for almost everything! GBFD The good, the bad and the downright ugly! There wasn’t a post last Thursday about the slope as I was away at the Amalfi coast. 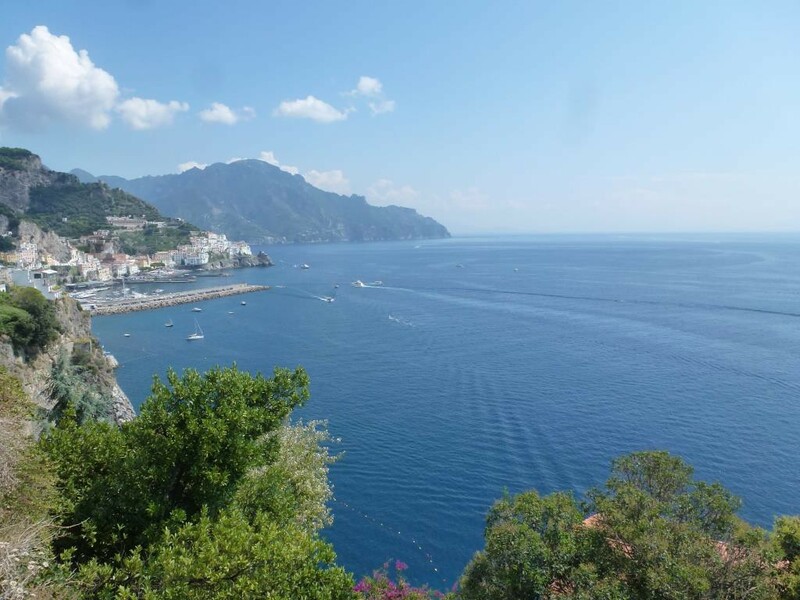 Here’s a photo to give you an idea of the views I was enjoying as we drove from Sant’Agnello to Maiori, one of the most beautiful if slightly scary drives in the world. The road clings to the cliff edge and twists and turns alarmingly; with scooters overtaking on the blind bends it is fortunate that you can pull into laybys every so often to settle the stomach as well as allow the driver to enjoy the views too; I’m assuming he was watching the road at all times!